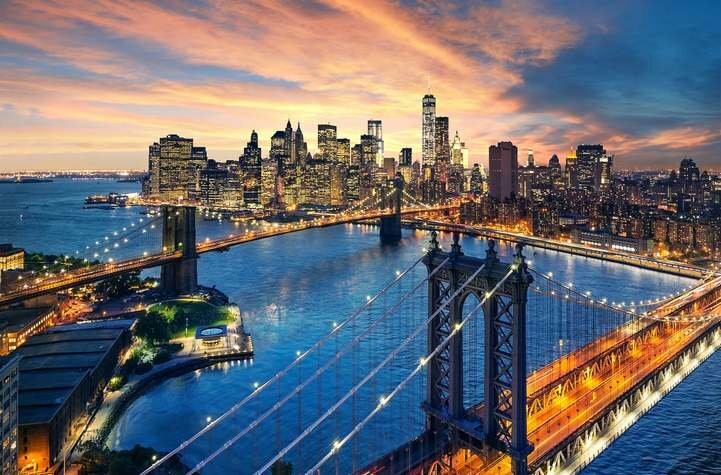 Flights to New York from Washington D.C.
Flights Washington D.C. - New York fly from Washington D.C. to New York at the best prices in the market. Flights from Washington D.C. (Washington-Baltimore, Washington-Ronald Reagan, Washington-Dulles) to New York (New York-LaGuardia, New York-John F. Kennedy, New York-Newark Liberty) with Destinia. To search for availability and reserve your flight Washington D.C. - New York look at the box above and select the departure and return date as desired. You can also buy several airplane tickets Washington D.C. (Washington-Baltimore, Washington-Ronald Reagan, Washington-Dulles airport) - New York (New York-LaGuardia, New York-John F. Kennedy, New York-Newark Liberty airport) at the same time, by selecting the adults, children and babies travelling. You can filter the type of flight if you only want direct flights to Washington D.C. - New York, multiple destinations or flight stopovers. Book your flights now from New York (United States) to the most important cities in the world. The box below contains flights from New York (United States) to the most important cities.